I’m starting to think pink. It’s taken me a while. I now own a lot of pink stuff. Pink shirts, pink socks, pink bags. 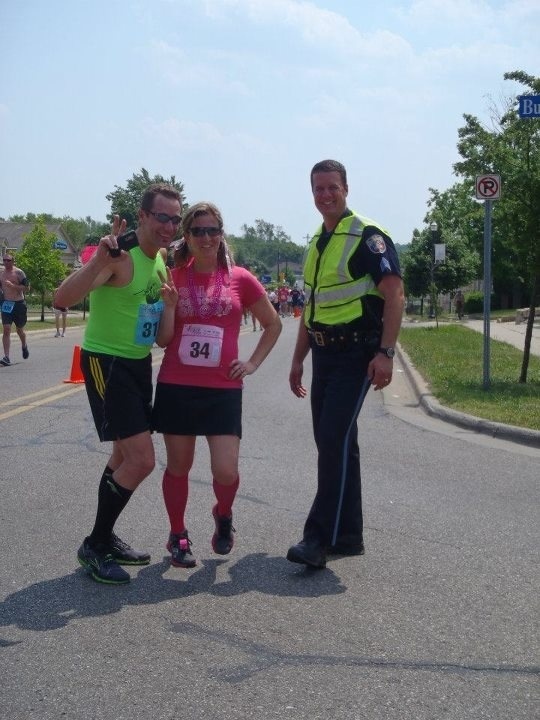 This year I decided to have fun with the Komen Race in Kalamazoo. Last year I was the first place finisher but this year I’m proud to say I was 5th! 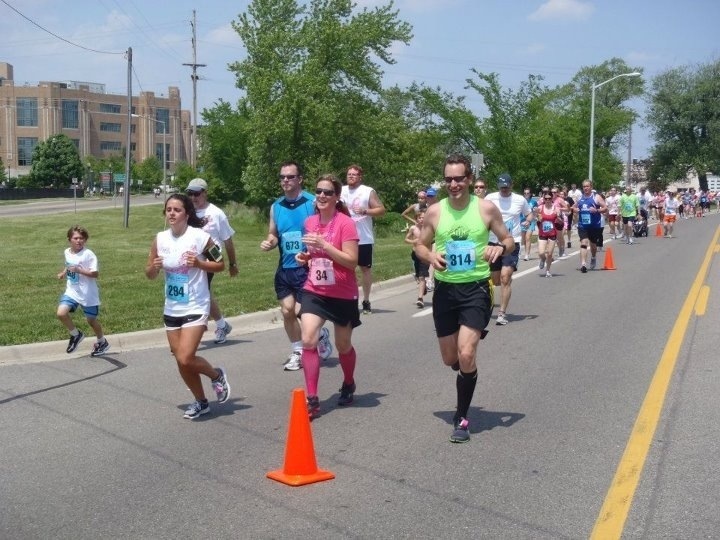 Some amazing 40 year old survivor rocked the race in 21 minutes. And it was 95 degrees. When I was checking out the results I met the 4th place survivor and she was 65! I love it! We totally high fived! I tried to stay upbeat this year. It was pretty emotional for me. But I know deep in my heart that my friends who passed this year from the Motherswww.motherswithcancer.com with Cancer Blog would want me to live and laugh. But sometimes it’s still hard. ……try on new blog names like I try on jeans. I’ll know it when I see it. Am I right? I’m trying out some new names. I haven’t pastored in several years so I don’t really feel like clergygirl anymore. And I’m starting nursing school in September. I actually feel like a post-cancer girl who was thrown a curve ball, who’s trying to figure out my place in this world. I’m also a little angry (thus the hot, not because I think myself hot, lets just be clear about that right now) about breast cancer in general and what it takes from women, and men too. 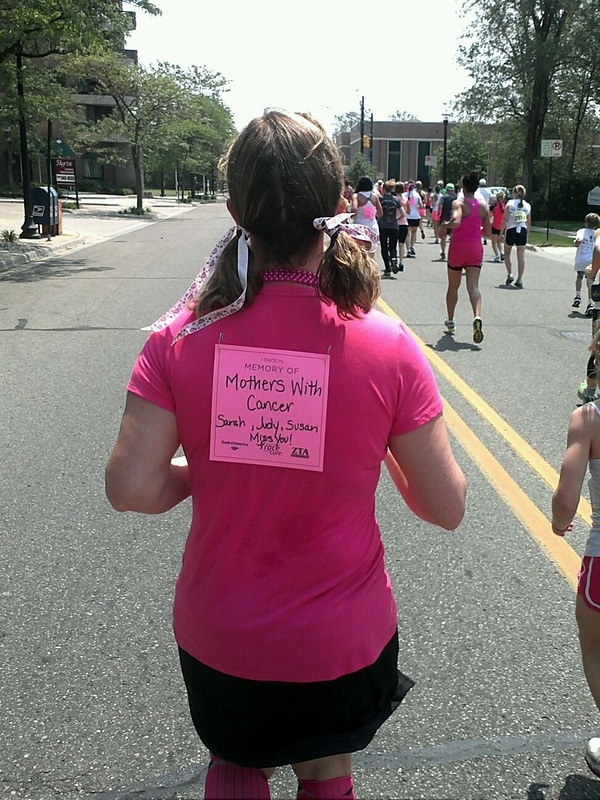 Is it ok to be angry about breast cancer? I’m angry enough to run a marathon to raise money for research. I suppose that qualifies as being a little hot under the collar. So you can tell me what you think of my new name. Does it fit? Did you prefer clergygirl? Looking forward to reading this book….check out this article and book and the threat/assault against our breasts!